Can You do business without TRUST? Flowers-they make you feel good! Is Your Business Your Passion? Why Hire a Public Relations Professional? It is that time of year when you need to prepare your air conditioner for full throttle! During the heat of summer is absolutely the worse time for air conditioners to fail, but it can be prevented with a few pre-cautionary steps. Getting your unit checked out annually is a must for a safe summer with your air conditioner. If your home is over 7 years old it is recommended that you inspect the wiring to make sure it has the capacity to handle all the appliances and extension cords that the added heat will utilize. Bad wiring can prevent the cooling system from working properly or at all. If you have a constant issue with adding refrigerant to your system you may have a leak. All freon leaks should be checked out and adhered to R-22 US EPA standards. Check your airflow to insure the fan on the unit is working properly. If the fan outside is not working, heat transfer cannot happen and the compressor will work harder to cool the air. This will generate overheating and possible internal damage to your compressor. Compressors that fail are a major expense. Prevention and annual maintenance check-up is the key to a more efficient air conditioner in the heated months of Texas summers. Are your coils freezing up? There is probably an issue with the air flow caused by a dirty filter or an obstructed ductwork. It is recommended that you change your filters every 30-60 days dependent on indoor pets, allergies, construction around the home area, and residents in the home. If you see standing water in your in the drain pan, this is a sure sign you have a clogged condensate drain. The condensate drain can get clogged up with mildew, algae, mold, and allow bad odors into the home. Cleaning out the drain will remove clogs and blockages and keep your air conditioner cooling efficiently. 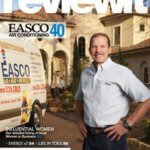 Easco maintains and installs efficient commercial and residential air conditioning, heating, and air quality systems that provide comfort solutions. 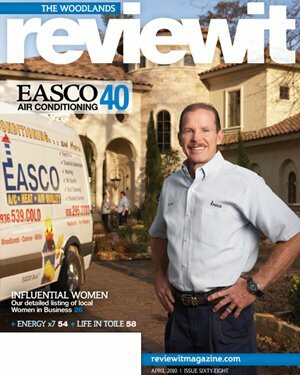 Let Easco Air Conditioning and Heating be your solution to comfort! Call us to clean your ducts, perform a maintenance/service check or do a 10-point safety inspection check to make sure all your electrical wiring is safe while they check your air conditioning and heating systems. It’s all about maintaining a comfort level of climate control that is healthy for you and your loved ones. Put your mind at EASE! What is Pubic Relations (PR)? Are you Connected in the Community? Quality Time with Family-Move over Housework!